Each of these horizontal navigation will work perfectly with your next website design. The horizontal bar design is great for a minimalistic look and works well to give the user a simple navigation interface. 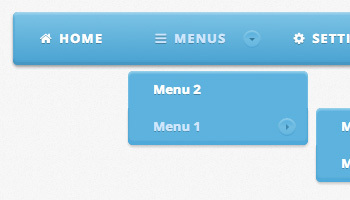 A minimalistic and lightweight horizontal menu built with pure CSS. The menu is also responsive, transforming itself into a vertical menu on mobile devices with small screens. This horizontal menu will work just as well on a desktop browser as it will on a mobile phone. 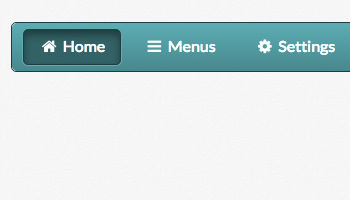 This horizontal menu is one of our first designs that incorporated a tabbed interface. This menu is perfect for product detail pages and will allow the user to click through different menu items, quickly and easily. 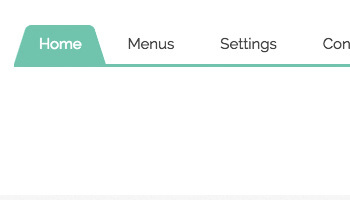 This menu only uses HTML and CSS so it will load fast and look great. 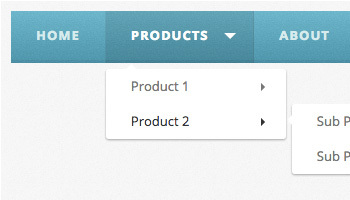 Using large menu tabs in this horizontal menu design helps the user quickly identify what page they are on. To achieve this menu design, we only needed to use one image. This ensures that the menu is light weight and that your webpage will load fast. 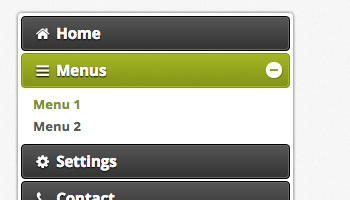 This responsive HTML menu bar has a really cool animation effect. 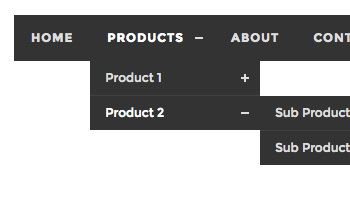 A little bit of jQuery magic makes this navigation respond to a user's :hover input and makes sure it will display properly on all screen size. This horizontal HTML and CSS navigation uses a little bit of jQuery to make the menu fully responsive. This menu would work well as a main navigation for your website and is smart enough to adapt to any screen size, mobile or desktop browser. 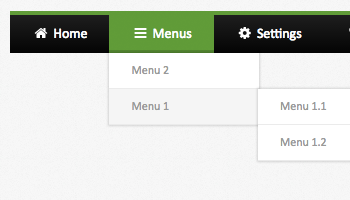 The Skinny Green Horizontal Menu is the perfect minimalistic navigation for your next project. We've include Font Awesome icons in this menu so that you can help the user easily identify where they want to navigate on your website. 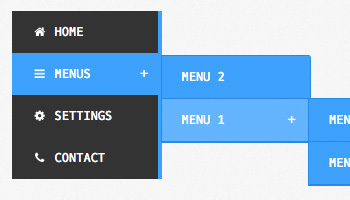 This simple tabbed horizontal menu could work well as a main navigation on your next website. 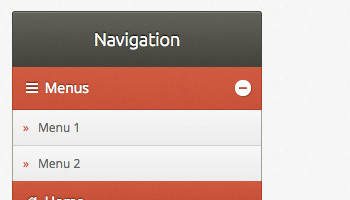 Or, you could possible use it for a sub navigation on one of our detail pages. The Chrome-Blue effect is achieved with a couple small images so your HTML page load time should not be affected too much. This horizontal indented menu uses pure CSS to achieve its design. This ensures that your webpage will load fast and the the HTML code is light and agile. 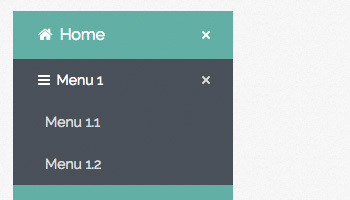 As you hover over each menu item the design changes by using the CSS box-shadow property.